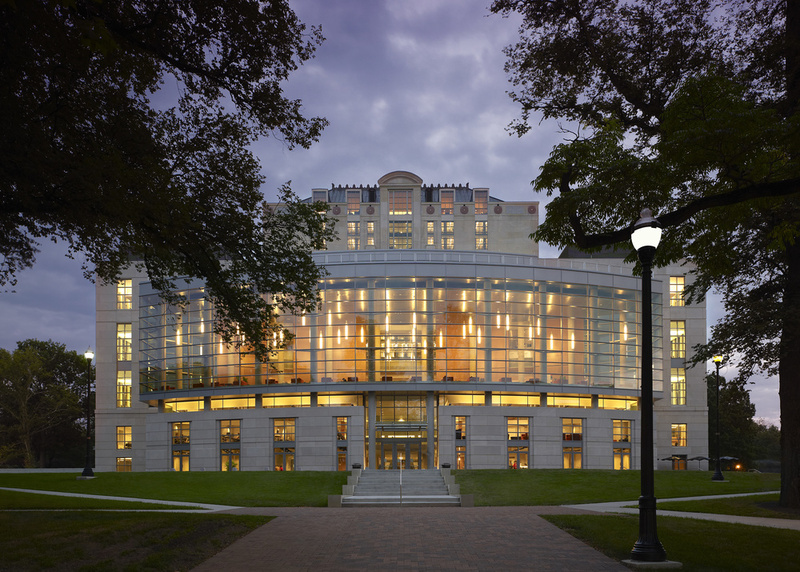 The design challenge for the William Oxley Thompson Memorial Library was to modernize and enlarge the library into a technologically relevant, contemporary study and research center. This change represents the evolving mission of the library; as an information nexus, as it is no longer primarily a warehouse for print media. The designers confronted a daunting perception of darkness, age, and wayfinding confusion. 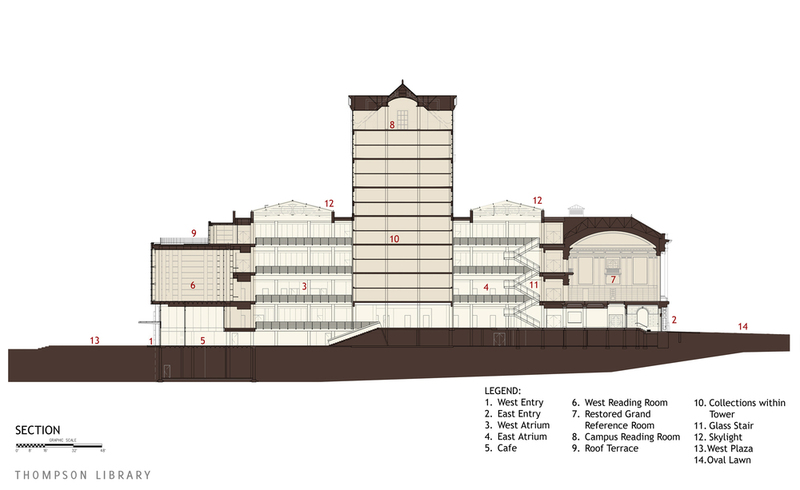 The design needed to strengthen the iconic, historic image of the main library while expressing a fresh enthusiasm for intellectual change and growth. 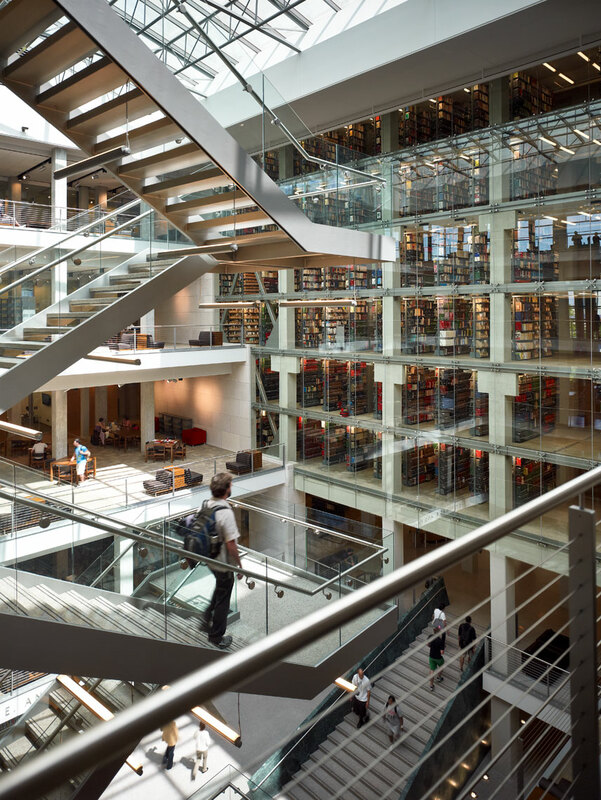 Completed May 1, 2009, the $108M William Oxley Thompson Memorial Library project (the Main Library) on the Ohio State University campus totals 306,000 gross square feet, with 91,000 square feet of addition and 215,000 square feet of renovation & restoration. The project also included development of a complete temporary library in an existing warehouse north of campus for the three years encompassing the 27 month construction period. 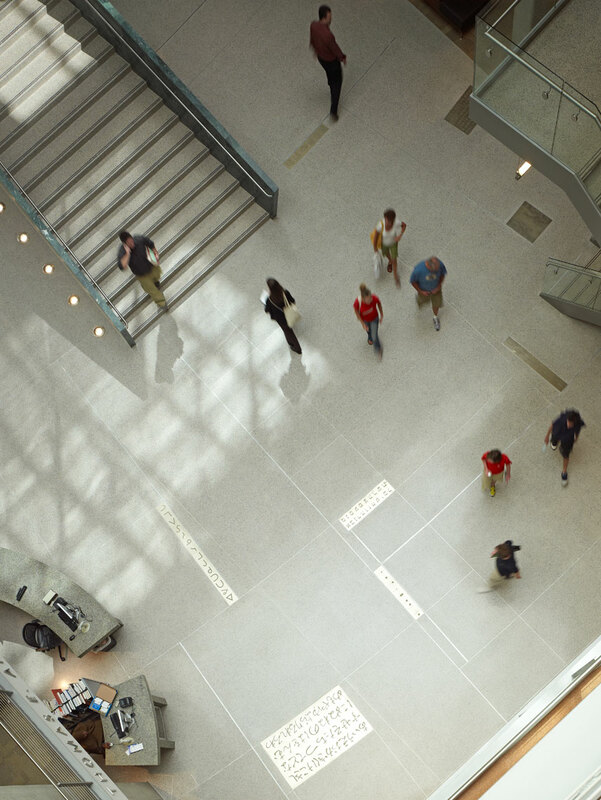 The William Oxley Thompson Memorial Library is once again a campus destination. Its rich history and detail are revealed in new soaring and dynamic spaces, where views, visibility, and light are fundamental. By breathing life and vitality into an aging facility, pride in the University’s iconic academic symbol is rediscovered.